Would a book where the characters are doing everything they can to stop the destruction of the world, challenge after challenge, little by little getting it, only to have the whole world destroyed in the end because their efforts didn't matter count as one of those stories? It was enough that I've never read another book by those two authors. I enjoyed Now You See Me and its twists - and ending. The Prestige did it well. I think The Illusionist did it even better. Ooh, that's a hard one, but yeah, I think that would have ticked me off A LOT, and it definitely could be seen as a betrayal of reader trust. We're going to have to disagree on Now You See Me. I found it to be lazily written, but that might be because I was watching it with my editing cap on. 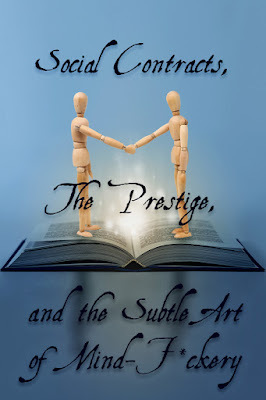 As it happens, I was thinking of The Illusionist the whole time I was writing it, but to me, one can't really say The Prestige is better than The Illusionist or vice versa. 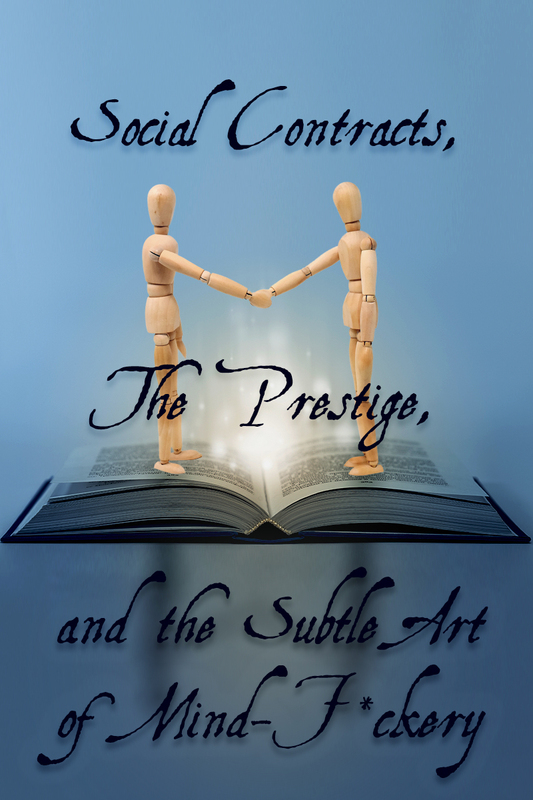 That said, I preferred The Prestige from a subjective point of view, which is why it ended up being the one I put up as my good example. 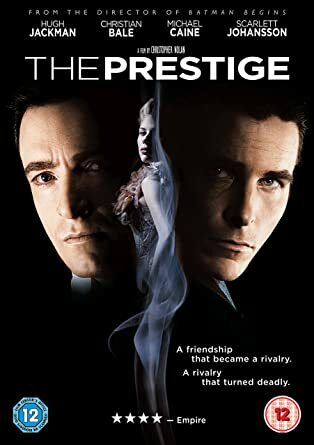 I just really liked how the twists and dark turns The Prestige took came from the choices made by the two characters, and that really stayed with me. Found myself nodding a lot while reading this post. Have definitely felt betrayed by plot twists before. 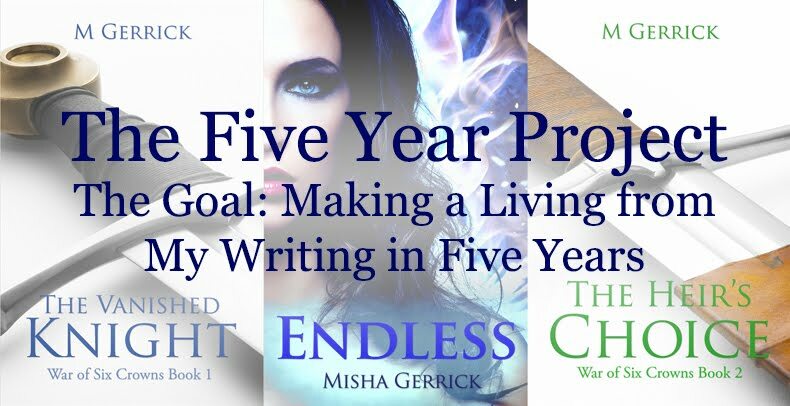 (Once, I was obsessed with a pretty long book series, but at the very end, the author undid everything because LOL TIME TRAVEL, and I felt like punching somebody.) Sorry this book ended up disappointing you so much! Yeah, to be honest, the more I thought about this book, the more I realized how much it HAD disappointed me. So where before I had thought of it as four stars rated down to three because of the end, in my mind it's now become two stars rated up to three because of the voice and pacing. I guess everyone has their pet peeves, and this (along with Deus ex Machina) is one of my biggest ones. But really, if you think about it, this whole "Psyche! There was actually this whole other thing happening that you never got to see because I couldn't be assed to properly lay the foundations for the reveal..." thing is actually a kind of Deus ex Machina in itself. Like how it's a plot twist that the scrawny kid could actually do Karate all along, but we just never knew (because the writer show this to us in the story). You hit the nail on the head. I want a story to have some meaning. I hate it when I get to the end and it's a nothing. You're right- it feels like a waste of time. Yeah, and I think that has worsened for me in an era where I could literally have found an almost infinite number of other ways to entertain myself that wouldn't have left me feeling deflated because it had wasted my time. If I felt a book had betrayed my trust as a reader, I'd be very unlikely to read anything else by the same author. Yeah, that's where I'm at with this book as well. And I'm especially not going to read the sequel. I think you found a really nice way to talk about what was wrong with the book without naming it, and did so in an educational way for writers and readers. I've never seen either of these movies, but now I want to. Definitely watch The Prestige. Honestly, Now You See Me is a waste of time according to me, except for educational purposes.